On 4 July 1927, the Minister of the Interior, Albert Sarraut, wrote confidentially to the Préfet of the département de la Seine-Inférieure requesting immediate action to prevent the section of ‘l’Association Mutuelle des Indochinois’, based in Le Havre, from distributing the newspaper Viet Nam Hon. Sarraut warned the Préfet that ‘revolutionary propaganda in Paris could have regrettable repercussions in Indochina’ and that it was suspected that ‘the most important departure point for copies of this newspaper is Le Havre’. The letter identified one Dang Van Thu, owner of the Restaurant intercolonial in the rue Saint Nicolas, as leader of the ‘Association Mutuelle des Indochinois’ and an instrumental figure in the distribution of the newspaper that was provoking anxiety in Paris. The purpose of this paper is to explore how the police and municipal authorities of Le Havre responded to migrants from France’s overseas colonies who passed through, or took up residence in, the port during the interwar years. Focusing particularly on the response of the local police force to the small population from French Indochina and to sailors and dockworkers from Sub-Saharan Africa and the French Antilles, it challenges recent historiography which has contended that the readiness of the French police force in this period to round up and expel the ‘racial Other’ prefigured the machinery responsible for the deportation of foreign Jews during the Occupation (Camiscioli 2009; Stovall, 2012). At the same time, in situating Le Havre comparatively with the Atlantic ports of Bordeaux and Nantes/Saint-Nazaire, it examines how urban spaces with differing spatial practices, municipal politics and populations became ‘colonial metropolises’ (places where peoples of different ethnicities and legal statuses in the French empire shared spaces with one another and with the metropolitan French), and how such exchanges framed perceptions of empire. After the First World War, for all the creation in Paris of a system of surveillance that made extensive use of informers drawn from the ethnic groups being monitored, surveillance in provincial cities remained patchy, sometimes being limited by a lack of personnel and by language difficulties. 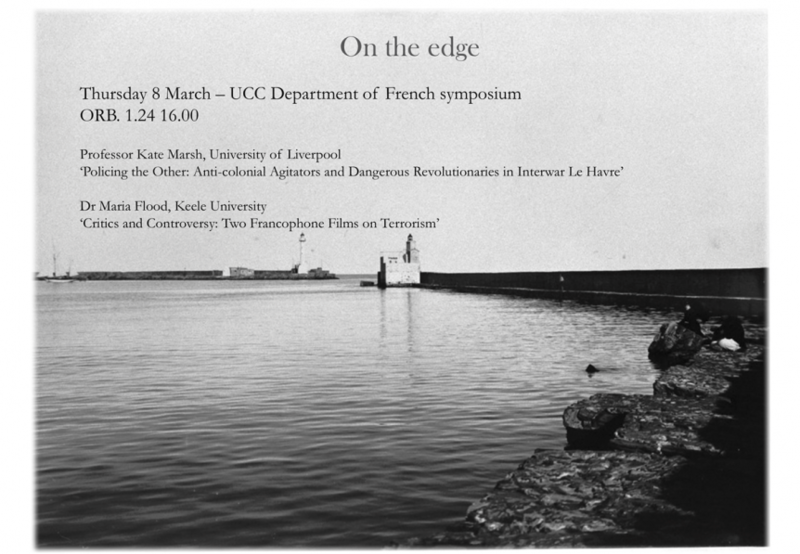 The tenor of local action in Le Havre demonstrates how far policing was contingent on the ways in which individual officials interpreted and contextualized ‘threatening’ activities and how they defined otherness. The documentary Salafistes (François Margolin and Lemine Ould Salem, 2016) and the fiction film Timbuktu (Abderrahmane Sissako, 2014) depict the 2011 occupation of Timbuktu by the jihadist group Ansar Dine. Initially conceived as a shared project, Margolin and Sissako later diverged significantly in their aesthetic and political aims. Upon release, Timbuktu’s ‘humanism’ received quasi-universal acclaim in Europe and the US, while Salafistes was briefly censored by the French state in 2016 because it contained interviews with Salafi jihadis. In this paper, I examine audience responses to images, narratives and ideologies of both films, in both public and private forums. Drawing on Sara Ahmed’s thinking of disgust and borders (2014) and Judith Butler’s work on proximity and vulnerability (2006), I consider the border between viewing self and viewed cinematic object, interrogating spectator affect and response to images of terrorist violence.